The finest garden furniture made from reclaimed teak! 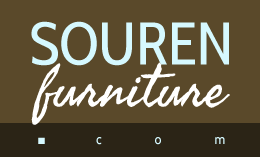 Souren Furniture was established in 1980 by Toine and Riet Souren who shared a passion for beautifully designed furniture, offering originality, quality and value. Over the years, interior and furniture trends may have changed, but our vision have remained the same; to share our passion for beautifully designed and expertly crafted furniture with our customers. Today Souren Furniture is based in Nuth, and we specialise in solid teak furniture that aim to bring a sense of character and inspiration to your home. We also have decades of experience decorating restaurants, bistros, wine bars and hotels and take great pride in the fact that our furniture are making their way around the globe, including aboard two cruise ships in Finland and Gran Canaria, a hotel restaurant in the Bahamas, and even a lodge in Namibia. Our wide range of reclaimed teak furniture include rustic, one of a kind dining and monastic tables, elegant dressers, chairs in various designs and waterproof garden and patio furniture. So whether you’re looking for a garden bench to bask under the sun, or a rustic teak furniture-set for your dining room, you can rest assured that you’re getting the best in quality and craftsmanship. Most of our furniture are in stock and ready to be delivered to you directly. And with between 400-500 products in every size and model imaginable, you are sure to find something to suit your every need. Teak tables, cabinets, chairs, sideboards and outdoor furniture. If it’s made of teak, we probably got it. Our teak furniture have their original character preserved in the solid teak planks. This means that the planks haven’t been chafed into one single colour. This is what gives the furniture their beautiful weathered, robust and distinctive look. 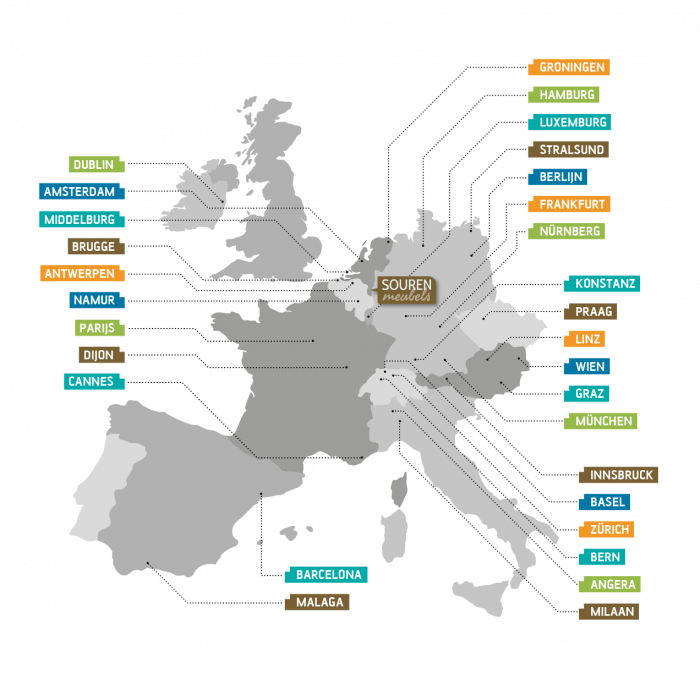 Our unique location in Europe makes it very easy for us to deliver in the Netherlands, Belgium, Luxembourg and Germany. And if you happen to live within 300 kilometres, one way, we’ll deliver your new furniture straight to your doorstep. For further destinations, we can arrange transportation with our regular and trusted transportation firms, who will ensure your items arrive in time and in perfect condition. And off course, you can always visit us in store and pick up your furniture directly. Can’t find what you’re looking for in stock? Get in contact and we’ll make sure you don't have to wait too long for your furniture to be delivered to you. See our article about delivery for more information.